For those utilizing VPNs, proxies and unblocking tools to access geo-restricted content on Netflix, the party may soon be over. According to an announcement by the company's Vice President of Content Delivery Architecture, people using such services will face new roadblocks in the coming weeks. While increasing numbers of people are becoming tuned in to the joys of Netflix, growing numbers of subscribers are discovering a whole new world of content beyond what the service offers them as standard. Netflix serves healthy libraries of content to many regions, but users in countries such as the United States get access to far more content than those located elsewhere. Likewise, not all European countries are served equally, with citizens of Italy falling short on content offered in the UK, for example. As a result more and more customers of Netflix are bypassing restrictions designed to limit subscribers to content designated to their home countries. This is usually achieved by using a generic VPN or proxy service but some companies offer dedicated products to unlock Netflix on a global basis. Even though Netflix admits it takes measures to try and limit the use of its service in this manner, the situation has traditionally seemed of minor interest to the company. However, in recent months Netflix has addressed the issue several times in the media and today has given the clearest sign yet that a crackdown is imminent. In a post to Netflix’s blog today, Vice President of Content Delivery Architecture David Fullagar said that while the company would continue to break down borders in order to offer content to the broadest possible audience, measures will be taken to ensure that content licensing agreements are respected. That means that circumvention devices – VPNs, proxies and similar tools – will fall further under the company’s spotlight. “Some members use proxies or ‘unblockers’ to access titles available outside their territory. To address this, we employ the same or similar measures other firms do,” Fullagar says. The news will come as a blow to those enjoying the best possible Netflix experience, especially those in countries where the local library is limited compared to that of the United States, for example. 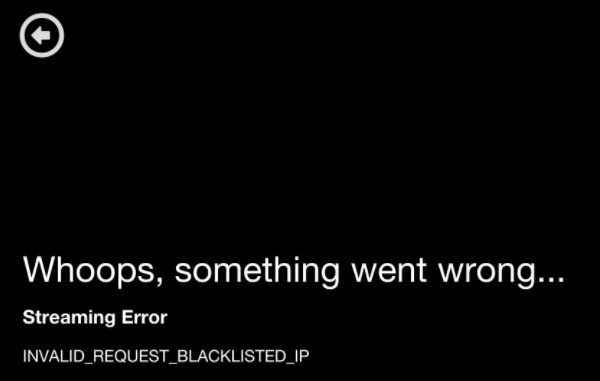 However, blocking so-called ‘proxy pirates’ might be more easily said than done. Only this week Netflix’s chief product officer Neil Hunt told the Globe and Mail that while the company uses “industry standard technologies to limit the use of proxies”, it’s effectively a game of cat and mouse. “Since the goal of the proxy guys is to hide the source it’s not obvious how to make that work well. It’s likely to always be a cat-and-mouse game,” he said. Of course, many proxy and VPN providers have customers that only buy their services for the unblocking abilities they provide, so there is a serious commercial interest for these companies to spend time outwitting Netflix. Only time will tell whether they will be able to do so long term, but history suggests it won’t be an easily won battle for the video service. In the meantime collateral damage is also a possibility if Netflix block the wrong people, but the company feels that won’t happen. “We are confident this change won’t impact members not using proxies,” Fullagar concludes. Note: While VPNs were not mentioned in the announcement, Netflix confirmed to TorrentFreak that these services will be targeted as well. c There are 262 comments. Add yours?